It’s been said that the measure of a man is how he sees and serves others. In this regard, Ellis Putnal was a giant. Throughout his life he shared his passion for soil and water conservation with youth and adults alike. 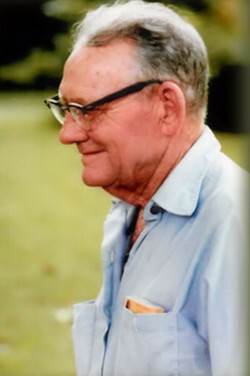 A life-long Lafayette County farmer and rancher, Ellis dedicated almost thirty years of his life in service as a Supervisor of the Lafayette Soil and Water Conservation District. Never missing a state meeting, he also always promoted conservation as an active member of numerous agricultural associations and organizations. Putnal’s real passion was educating youth on the critical importance of soil and water stewardship. He was a lifelong supporter of both 4-H and FFA programs and felt strongly that today’s youth are indeed tomorrow’s future. With his family, Ellis was active in his faith, as well as promoting our American Democracy. Over the years, he supported numerous Florida AFCD programs, including the annual youth public speaking competition. Your tax-deductible 501c.3 donation, gift, memorial, or bequest will be maintained in a separate Ellis Putnal Memorial Fund account, administered by the Executive Board of the Association of Florida Conservation Districts. This fund’s primary purpose will be to provide awards, scholarships, and recognition to youth participating in AFCD poster, speech, and land judging competitions throughout Florida.